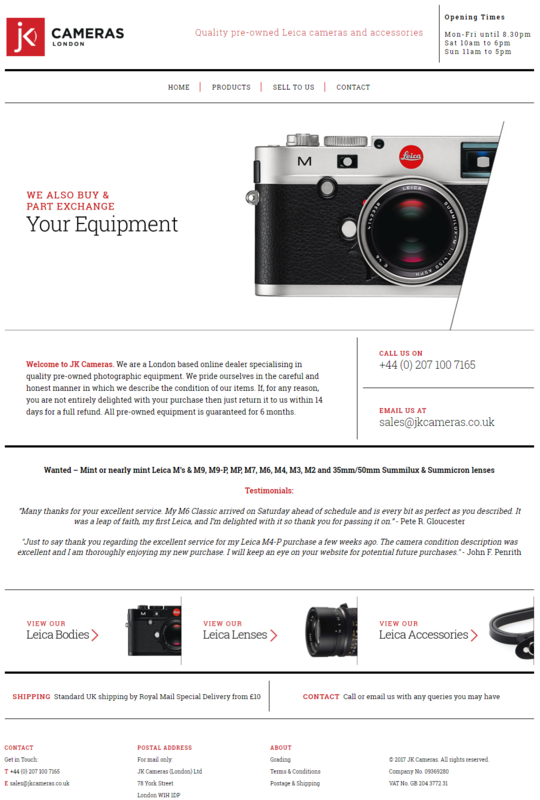 The site owner required a platform to show off his stock collection and key features of individual products. The platform needed to be easy to use and robust enough to handle regular product updates and content changes. With no previous eCommerce experience, Zencart was the chosen platform as it was easy to adapt and intuitive for new users. Brand new website built on the robust, easy-to-use Zencart platform to a clean, professional design. Intuitive menu structure, bespoke to the site owner's needs, to greatly help visitor navigation. Customisable content blocks to allow the site owner to update elements across the site as required. Embedded a custom product photo viewer, as detailed photography of the products is a key sales feature. Working with you and the needs of your business to devise a bespoke eCommerce strategy. Combining high quality design with functionality, and keeping your brand image in mind. Building a robust eCommerce website, focusing on site speed, user experience and security. Implementing correct digital marketing methods to drive traffic and brand awareness.